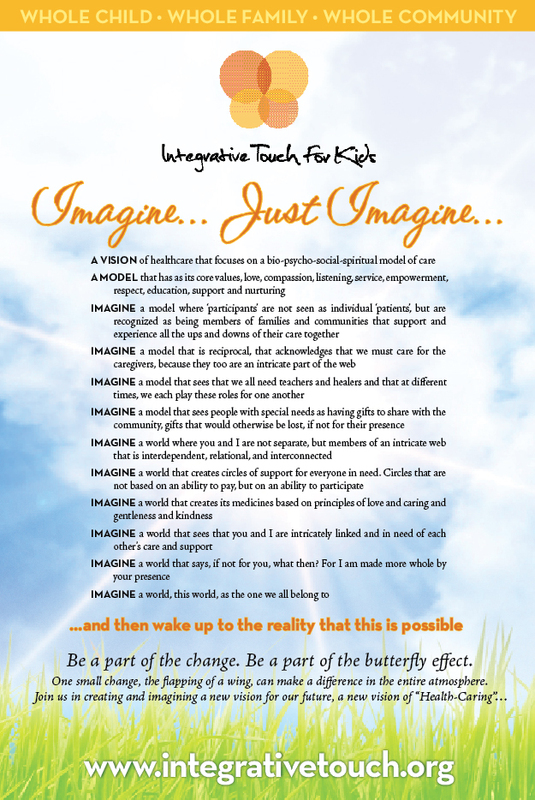 I found this on the ‘Integrated Touch for Kids’ website and thought it was perfect to put here to help everyone to understand the changes that we are attempting to make for our children with chronic illness. I am flapping my wing and I know that I can make a difference! Thank you for reading. Thank you. I know it sounds like a utopia, but if we could begin striving for it, things could get better. We need change! This woud pretty close to perfect!